G’s Sun Sextiles T’s Venus (+9.87 harmony) – G’s sense of identity, ego, will, and character combine pleasantly with T’s understanding of sexuality, attraction, or intimacy. The relationship stimulates the natural love for one another. T has a soothing and warm effect on G. G has the desire to please and support T. Both share the same social interests and enjoy the same pleasures in life. T’s Jupiter Conjuncts G’s Neptune (+6.38 harmony) – T’s sense of growth, expansion, or generosity combines with G’s sense of spirituality, imagination, or mystical inclination. Both are spiritually compatible and encourage each other to realize real goals. There is a combined tendency towards extravagance and self-indulgence. G’s Mars Sextiles T’s Jupiter (+5.64 harmony) – G’s sexual drive, temper, and powers of self-assertion combine pleasantly with T’s sense of growth, expansion, or generosity. The relationship stimulates mutual helpfulness in achieving prosperity. G provides a foundation for aggressive action for T’s dreams of development. This aspect is also favorable in business partnerships. G’s Sun Sextiles T’s Mercury (+2.68 harmony) – G’s sense of identity, ego, will, and character combine pleasantly with T’s mentality and powers of perception. There is a natural stimulation to communicate with each other. Collaboration flows smoothly between G and T. They enjoy exchanging concepts and ideas with one another. Both are able to discuss their problems and work them out. G’s Sun Sextiles T’s Sun (+2.54 harmony) – The individual sense of identity, ego, will, and character combine pleasantly with the couple. The similar temperaments of G and T can stimulate each other to achieve their goals in life. There is a strong sense of compatibility between T and G. Both are supportive of each other’s basic needs. This aspect is mutually beneficial for marriage. T’s Saturn Sextiles G’s Neptune (+1.48 harmony) – T’s sense of commitment, necessity, or duty combines pleasantly with G’s sense of spirituality, imagination, or mystical inclination. The relationship stimulates each other to adopt new ways of thinking. T can stabilize G to be practical. G can inspire T to have a vision and be more imaginative. G’s Venus Conjuncts T’s Jupiter (+0.81 harmony) – G’s sense of sexuality, attraction, or intimacy combines with T’s spirit of growth, expansion, or generosity. Both enjoy the same pastimes, cultural activities, and other forms of entertainment. There is fusion in the relationship that brings out good qualities like optimism and self-confidence in each other. T’s Mars Conjuncts G’s Jupiter (+0.47 harmony) – T’s sexual drive, temper, and powers of self-assertion combine with G’s sense of growth, expansion, or generosity. The relationship stimulates aspirations and ambitions in one another. This aspect may also encourage extravagance in one or both individual. G enjoys teasing T which T doesn’t find amusing. G’s Mars Sextiles T’s Uranus (+0.45 harmony) – G’s sexual drive, temper, and powers of self-assertion combine pleasantly with T’s sense of independence, freedom, and originality. The relationship stimulates confidence in each other. Both will benefit from a sense of adventure and creativity as a team. T’s Sun Trines G’s Saturn (+0.17 harmony) – T’s sense of identity, ego, will, and character combine very effortlessly with G’s sense of commitment, necessity, or duty. There is harmony and natural respect for each other. T and G are both willing to work out difficulties in their relationship. There is a mutual appreciation of responsibility and heartfelt commitment to one another. This aspect aids endurance in marriage. T’s Venus Opposes G’s Jupiter (-1.13 discord) – T’s sense of sexuality, attraction, or intimacy confronts and challenges G’s spirit of growth, expansion, or generosity. There is tension on how each other will handle finances. G may occasionally accuse T of not being entirely open and honest. T may accuse G of being too open and honest. From time to time this aspect can bestow good luck. T’s Venus Squares G’s Pluto (-2.03 discord) – T’s sense of sexuality, attraction, or intimacy interacts stressfully with G’s sense of transformation, change, or power and destiny. There is an intense and sometimes uncomfortable sexual attraction in the relationship. There is friction in dealing with issues of jealousy, possessiveness, and volatile emotions. The association may breed anger and even hatred of one another. T’s Mars Squares G’s Pluto (-2.10 discord) – T’s sexual drive, temper, and powers of self-assertion interact stressfully with G’s sense of transformation, change, or power and destiny. There is friction in each other’s resistance to display of authority by the other. Both can be vindictive toward each other. There is a power struggle for dominance in the relationship. T’s Mercury Opposes G’s Jupiter (-2.19 discord) – T’s mentality and powers of perception confront and challenge G’s sense of growth, expansion, or generosity. There is tension in the exchange of ideas in the relationship. T will seem petty to G. G might promise more than can be delivered. This is not a serious conflict if there are many harmonious aspects to the relationship. G’s Uranus Squares T’s Pluto (-2.70 discord) – G’s sense of independence, freedom, and originality interact stressfully with T’s sense of transformation, change, or power and destiny. There is friction in spiritual goals between G and T. The relationship is a mixture of power and rebellion. It will take a lot of work to keep the partnership firm. G’s Mars Conjuncts T’s Saturn (-5.48 discord) – G’s sexual drive, temper, and powers of self-assertion can combine with T’s sense of commitment, necessity, or duty. The relationship induces cooperation and working for a common goal. Both either complement each other well or antagonize each other’s differences. G stimulates the ambition and progressive instinct in T. T in some ways restricts or limits the activities of G.
T’s Sun Opposes G’s Jupiter (-6.47 discord) – T’s sense of identity, ego, will, and character confront and challenge G’s spirit of growth, expansion, or generosity. There is tension between T and G’s philosophy of life. G and T are having difficulty recognizing their differences. They expect too much from each other. Both have the tendency to encourage over-indulgence in some form or another. There is less give-and-take in the relationship. G’s Sun Squares T’s Saturn (-6.51 discord) – G’s sense of identity, ego, will, and character interact stressfully with T’s sense of commitment, necessity, or duty. There is friction in T’s controlling nature and G’s egocentric nature. G struggles to break free from the limits set by T. Both will want to achieve their goals in life but may find it challenging to meet the demands of one another. There is a particular element of responsibility and criticism in the relationship. G’s Mercury Squares T’s Mercury (-6.55 discord) – The individual mentality and powers of perception interact stressfully within the couple. Differences of opinion can cause friction and misunderstanding. Both have a different method of solving problems. One will criticize everything the other does. The relationship lacks intellectual inspiration and encouragement. T’s Sun Squares G’s Mercury (-6.69 discord) – T’s sense of identity, ego, will, and character interact stressfully with G’s mentality and powers of perception. There is friction due to improper communication between G and T. Misunderstanding and conflict of ideas are common in this aspect. G might be too aggressive in communicating with T.
G’s Mercury Squares T’s Mars (-9.07 discord) – G’s mentality and powers of perception interact stressfully with T’s sexual drive, temper, and powers of self-assertion. There is friction in T’s aggressive attitude and G’s rational reasoning. Petty quarrels in the relationship will make getting along challenging to achieve. G’s sarcasm could easily provoke T’s temper. T’s Sun Squares G’s Pluto (-11.74 discord) – T’s sense of identity, ego, will, and character interact stressfully with G’s sense of transformation, change, or power and destiny. There is friction in the random testing of loyalty and tolerance in the relationship. Both will resist any attempted change imposed by the other. The aggressive personalities of T and G can cause damage to the relationship. T’s Mercury Squares G’s Pluto (-11.88 discord) – T’s mentality and powers of perception interact stressfully with G’s sense of transformation, change, or power and destiny. Both T and G have a robust mental effect on each other. There is friction in the difference of opinion and method of dealing with a problem. Frequent battles of the mind are expected in the relationship. Expressing one’s vulnerability is a hard thing to do for both G and T.
G’s Saturn Squares T’s Saturn (-17.07 discord) – The individual sense of commitment, necessity, or duty interacts stressfully within the couple. There is friction in the relationship between how each other handles responsibility and security. G and T can create severe problems of adjustment. 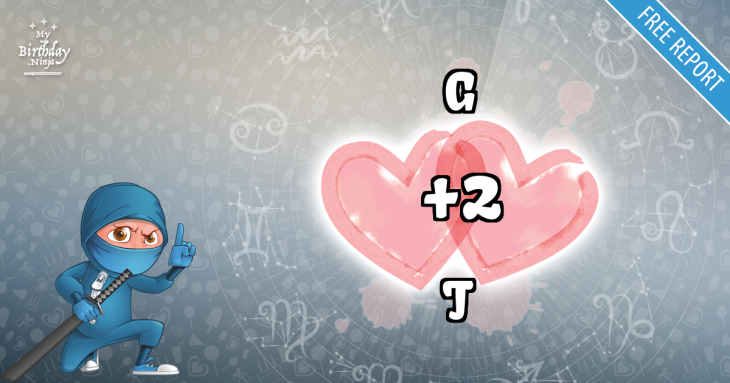 There are 7 mutual receptions in G and T’s planet combinations. Planets in mutual reception enhance each other. This will add +70 harmony to the total score. The remaining -6.88 discord is due to some minor aspects or planets in parallel.